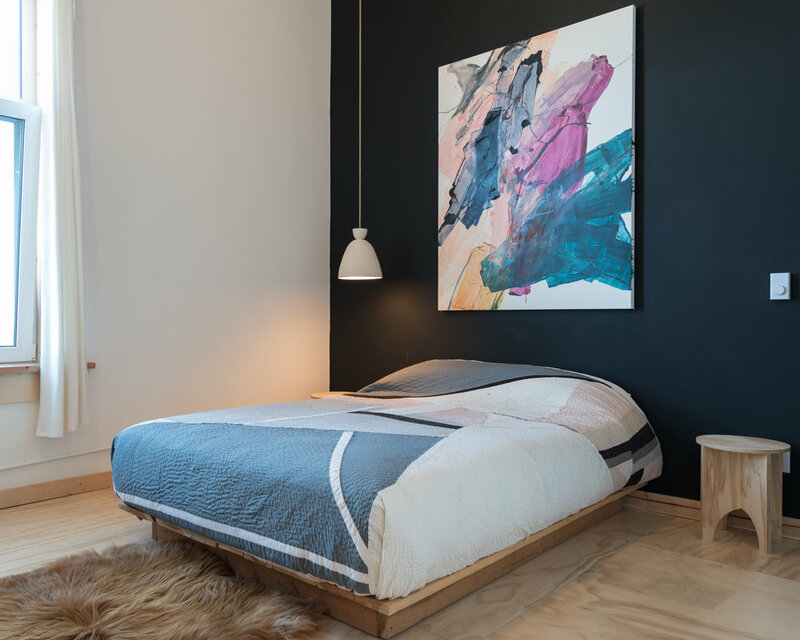 Room six at The Jennings Hotel was designed by Robert Maddox and Karie Reinertson of Shelter Collective in Ashville, North Carolina. Combining historic architectural references with bold touches of color, texture and shape, their design reflects a reverence for the buildings past, while celebrating its continued adaptation for the future. 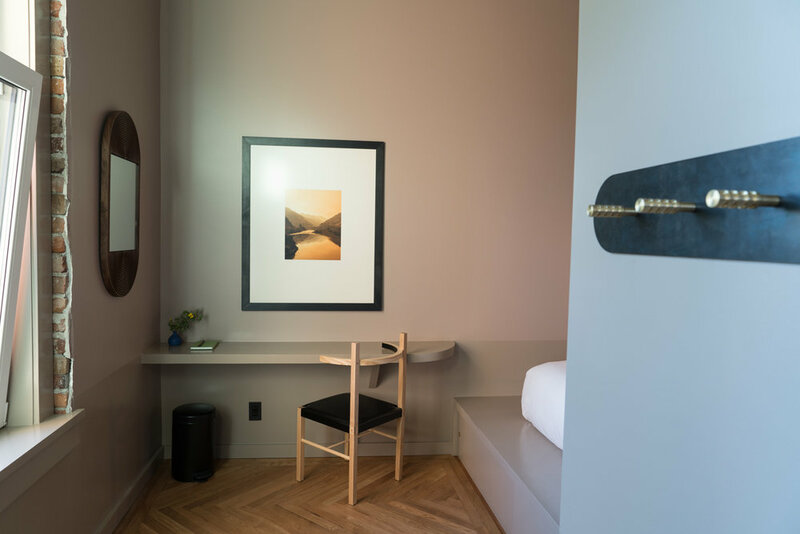 With custom furniture, fixtures and our only private kitchen, room 6 has space to read, relax, converse and enjoy a meal. The living room, bathed in wonderful morning light. Room eight at The Jennings Hotel was designed and built by proprietor, Greg Hennes, as a love letter to cabin life. Utilizing a simple palate of rough cut lumber and exposed brick, the nostalgic rusticity of room eight is elevated by considered details and a mixture of the found, curated and collected. 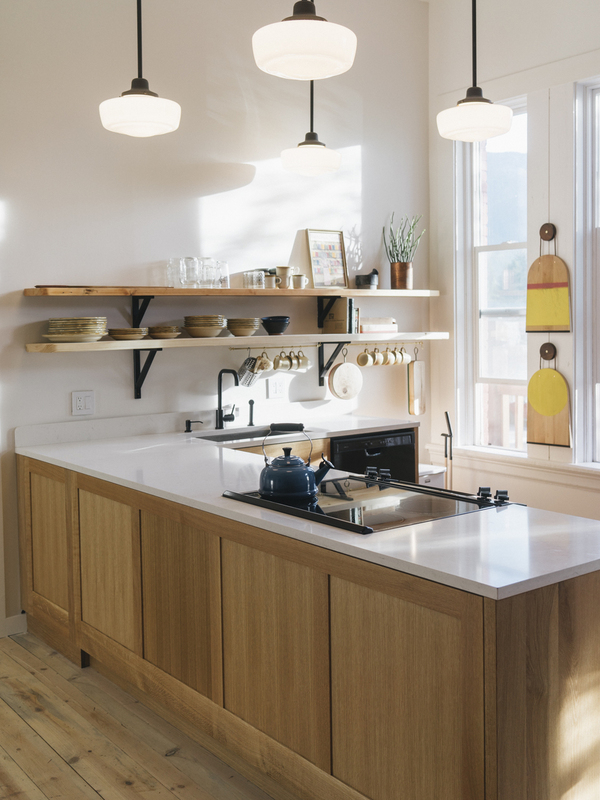 Beautiful lighting by Portland based Rejuvenation bathes the space in a soft glow, setting the ambiance and accentuating its supple materiality. Whitewashed floors and beadboard ceiling in the livingroom, along with subway and pennyround tile in the bathroom add classic refinement to the space.